Larry went above and beyond to assist us in settling our business interruption claim with our insurance company. The result of the Cook firms’ comprehensive investigation, claims development, and successful arbitration resulted in a very favorable outcome. Our years of experience in business valuation, economic damages, alternative and collaborative dispute resolution, and structured settlements allow us to provide top tier litigation support for our clients. Litigation can be grueling and stressful as verdicts often have big impacts on your future, and choosing a qualified financial expert is often just as important as choosing an attorney. 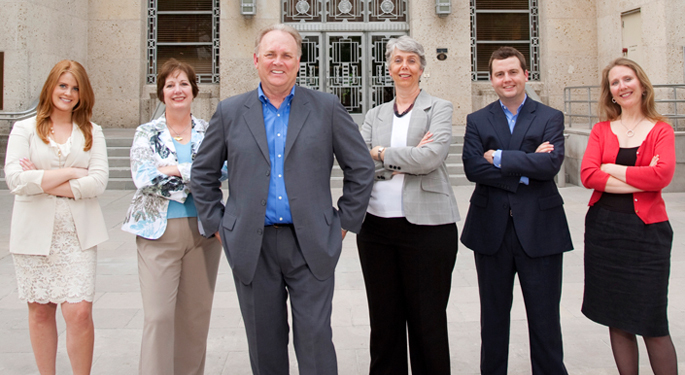 With Larry R Cook and Associates, PC you can rest assured that you’re in good hands. We’ve testified in a number of case, including shareholder oppression, usary, minority interests, contract disputes, and purchase price allocations (to name a few). Our valuation experience demonstrates our meticulous attention to detail. However, most disputes need not be settled by verdict, and our team has vast experience in finding an equitable solution for both parties through settlements. Our team's experience in mediation and collaborative enhances our ability to facilitate settlements in all financial areas. For example, we’re among a handful of firms nationwide that have implemented and managed a Structured Settlement without using insurance companies or annuities, which can be expensive and time consuming. Whether the decision is made in collaboration, negotiations, or litigation, you’ll be glad to have the experience of Larry R Cook & Associates, PC working with you. Litigation Support: The litigation support team provides a variety of services to enable the client to make an informed decision, enhancing the outcome for our clients.